JBiz was developed from a wealth of marketplace experience and expertise. It’s no surprise that New Zealand’s top retailers have chosen to build their business on the JBiz platform. Designed with the end-user in mind, you’ll appreciate JBiz’s intuitive experience whatever your role in your organization. Make speed and accuracy your competitive advantage. JBiz customers have grown their businesses over 500% with our platform. 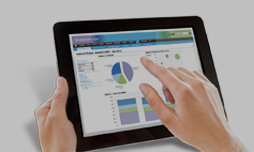 Get accurate data, a complete view of your organization and make decisions in real-time. Designed to integrate seamlessly with your existing systems and processes. JBiz makes integration hassle-free. Enterprise-level security. Have confidence that your sensitive information is under robust protection with the highest of standards. JBiz can be configured to meet the specific needs of each individual organization. As your organization grows and adapts, we evolve alongside your business. Ongoing support and personal service, direct from the creators of the JBiz platform. Rest assured that you’ll always deal directly with the source.